Birthdays might be the determinant of your chronological age, but they do not give you insights into your skin age. It is quite possible to have a different skin age simply because of the fact that skin aging is not determined by genetics alone. There are a number of factors that play a huge role in determining your skin age. Controlling these factors allows you to make your skin look younger than your actual age and letting these factors go out of control makes you look much older than your actual age. This Vine Vera guide helps you to understand your skin age, determine the issues that you can expect and understand how to treat your aging skin. Although smoking and sun exposure are the main factors that influence your skin age, there are a number of other important factors as well. Taking care of these factors and controlling them is the secret to younger looking skin. Genetics – External factors aside, your genetics also have an important role to play in determining the age of your skin. 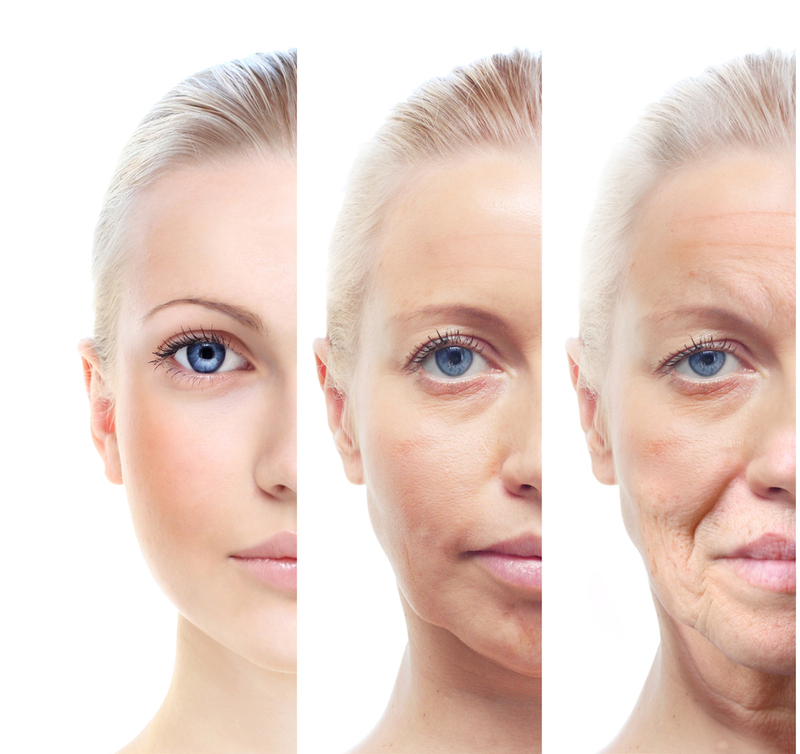 As the body gets older, the skin becomes older and its ability to function deteriorates. The genes also play a major role in determining the issues that affect the skin and the skin type. Sun Exposure – The ultraviolet rays of the sun can damage skin fibers known as elastin. This makes your skin stretch, sag and lose its ability to snap back into its normal position after stretching. The skin also tends to bruise easily and takes longer to heal. The best way to protect yourself from sun exposure is to use broad spectrum sunscreens before stepping out of the house all 365 days a year and avoiding direct sunlight as far as possible, especially between 10 AM – 2 PM. Smoking – Smoking hastens the aging process by causing premature wrinkling and permanent damage all over your body. The nicotine contained in tobacco can starve your skin from oxygen, restrict the blood flow to your skin and make you prone to pruning. Diet & Nutrition – Diet & Nutrition plays a huge role in keeping your skin younger and healthy. If your diet fails to provide the necessary nutrients, the skin can end up looking lackluster and dry. Stress – Stress is known to be a common factor of skin aging. Stress levels are likely to make you susceptible to all sorts of skin issues and breakouts and also make your skin age at a much faster pace. Skin Tone – Some skin tones are less susceptible to aging. The type of skin and the skin tone might not be the main determinants of skin aging, but they are definitely important ones. Skin Care Habits – Your skin care habits can also trigger skin reactions. Contact with irritants, using the wrong skin products or ignoring the importance of skin care products can lead to accelerated aging, skin problems and pale looking skin. Fitness – Lack of proper fitness and the absence of regular exercises can make your skin look dull, dry and pale. Take this simple test to discover how young or how old your skin looks. Once you determine your skin age, simply read on to discover the various problems and solutions for your aging skin. Remember, your skin problems are directly tied to your skin age. Understanding what to use for your skin age is the ultimate secret behind getting rid of your skin issues once and for all. The test to determine your skin is quite simple. All it takes is a few seconds and it can easily be done by anyone. Here’s what you need to do. Pinch the fleshy portion of your hand (the area between your thumb and your index finger). How much time does it take for your skin to bounce back? If it bounces back within 2 seconds, your skin functional age is less than 30. If it bounces back within 3 – 4 seconds, your skin functional age is between 30 – 44. If it bounces back within 5 – 15 seconds, your skin functional age is between 45 – 60. Determining the overall age of your skin is quite simple. However, once you do determine your skin age, you need to understand what sort of problems you’re likely to face and the things to do to save your skin from further damage. The 20s Skin – When your skin is in its twenties, it is at its healthiest. It enjoys tremendous levels of collagen support and looks young, fresh and supple. The 30s Skin – The skin begins to lose its amazing collagen support as it enters into its thirties. To make matters worse, the cell turnover also slows down, thereby making the skin look dry, pale and old. The 40s Skin – The skin loses its elasticity by a great deal as well as its ability to retain moisture. As a result, your skin ends up looking tired, old and dull in its forties. 50s and beyond – Once your skin crosses the fifties, it loses a significant part of its elasticity and the rate of cell turnover becomes extremely slow. There are a number of ways to care for your skin tone. When it comes to matters of the skin, you are faced with a number of choices that might be difficult to choose from. So if you’re looking for tips on the best ways to care for your skin tone and get healthier skin, check out these effective tips from Vine Vera that can easily be tailored to suit your particular skin tone. The food that you eat is by far the most important thing when it comes to caring for your skin tone. Foods that contain essential fatty acids are a must for your skin, since they help in boosting your collagen levels and also help with combating the aging process. Alcohol can be healthy when taken in moderation. However, when you consume too much alcohol you can end up dehydrating your skin and dulling your complexion. It can also give you a flushed appearance by increasing the blood flow to the skin surface which can become permanent over time. Therefore, it is essential to keep your alcohol intake at a minimum. Having some Orange Juice the first thing in the morning is an excellent way of keeping your skin tone in check. Orange juice is loaded with Vitamin C, something that is famous for being a skin brightening agent. One of the best ways of taking care of your skin tone is to exfoliate your skin at regular intervals. By removing the dead skin cells from the topmost layer of your skin, you force your body to generate new skin cells to take their place. This helps you get a brighter complexion and radiant skin. Make sure that you moisturize your skin two times every day – once in the morning and once at night. You can use moisturizers with SPF in the mornings, for evening ensure that you use strong moisturizers that help to lock in the moisture content at night. If you don’t use moisturizers, your skin is likely to look older and age quite fast. There are a number of cosmetic ingredients that are known to be harmful for your skin tone. 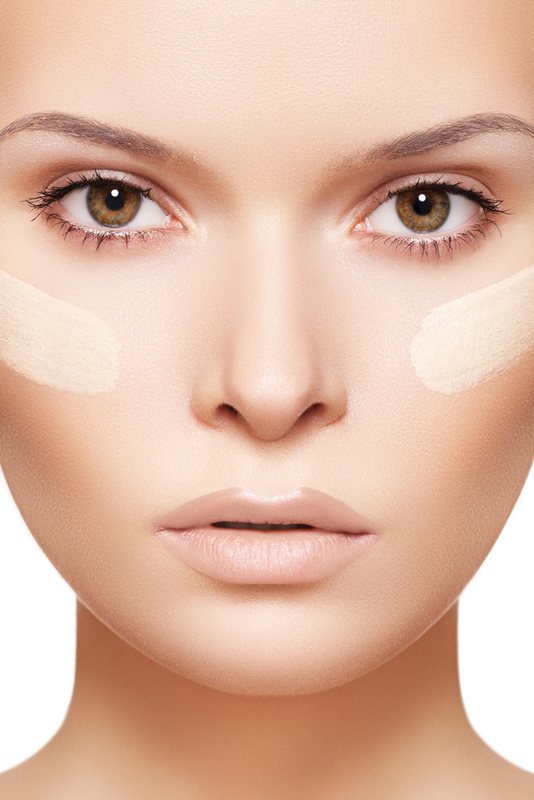 Mineral makeup is considered to be an excellent choice if you’re looking for a brighter and a healthier complexion. These days BB and CC creams are popular, they offer coverage combined with skin benefits. Most of them are designed to brighten and even skin as they hide imperfections. Pay attention to any changes in your skin after using a new type of makeup, if you have any undesirable effects switch to a different formula. There are a number of ingredients that can do wonders for your skin tone. Some great skin care includes natural ingredients include Apple Cider Vinegar and Licorice extract. Apple Cider Vinegar is your answer to just about everything. It contains mineral salts, a number of vitamins, amino acids and sulfur, which allows it to help out with issues such as skin spots, acne and age spots. Licorice extract, also known as licorice root extract, is a powerful anti-inflammatory that is ideal for smoothing your skin and fading skin spots.